Lights, camera 🎥, ACTION 🎬! Still Lumber Company is proud to be a leading supplier of film and studio supplies in Georgia and Atlanta. Some of the film productions that Still supplied materials for are: Superstitions, The Originals, Vampire Diaries, Sleepy Hollow, and 151 to Paris just to name a few. 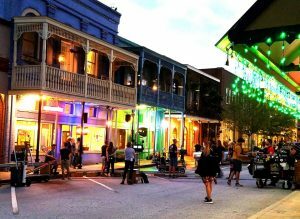 You never know which movie set or movie star you’ll see around town, keep your eyes open!